More here on crossing the border. See here for more on arrival in St. Louis. The Atlanticide/Jeunesse Hostel was closed at this time. I was referred to another nameless, half-completed establishment on the island, which I don’t particularly recommend, but as the only other option in this price range, I didn’t mind to stay here for a night to explore the island. 6000CFA/bed in 5-bed (but empty) dorm. Shared bathroom, cold water. Ask for Paco and he can arrange this place for you. Moved to The Auberge Pelican on the Hydrobase (south end of the peninsula). A huge upgrade for $3 more a night! 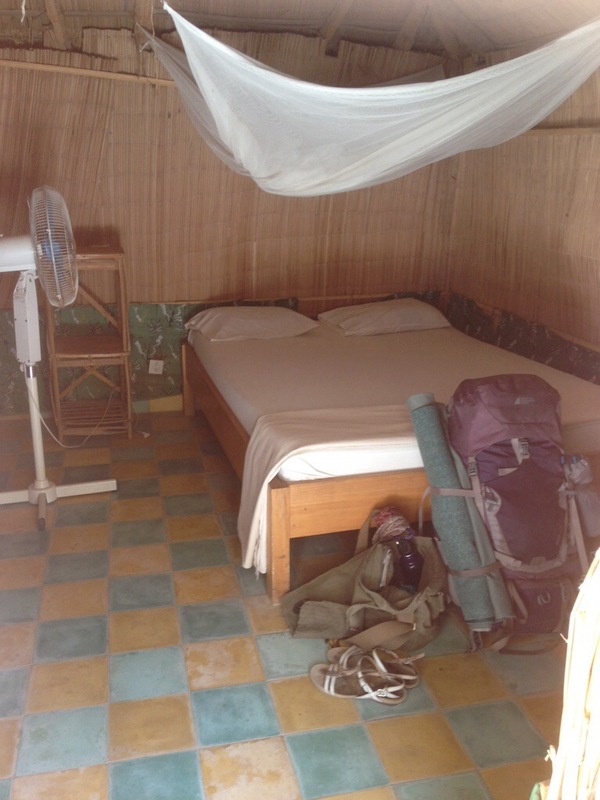 7500 CFA (for 1 or 2 persons) for a lovely hut to myself. Double bed, fan, net, with shared bathrooms, but hot water! Island vs. Peninsula: I liked getting a taste of both. The island is better for the atmosphere, life, food, etc., but the accommodation is much better on the hydrobase. The beach isn’t amazing and there is little in terms of establishments outside of hotels; it’s a bit of a walk to do/eat anything. The standard breakfast in Senegal is a fried omelette (with onion, salt, and pepper) in a baguette for 500CFA. On the island there are a couple places that make them; my favourite being an unmarked corner with curtains over the doors, and a guy outside grilling meat (which you can also add into your sandwich, if you so desire). There’s a lot of overpriced food on the island, aimed at tourists. If you scout on the peninsula, you’re sure to find the spots where the fishermen eat their meals, which will be miles better than what I ate! hot tip: the word to use to find a shared taxi is collectif, so you don’t get suckered into paying for your own taxi! local rides around the island are 500, but you can definitely walk anywhere you need to go. from the island to the hydrobase, they’ll try to charge you 1500-2000, but I think you can cross the bridge to the peninsula and find a shared car for 100-500 max. It’s also fully walkable in about 20 minutes, but can be very windy and unpleasant with all the sand blowing in your face! Most taxis within the downtown should be about 500. 1500-2000 from outside downtown. Look for this sign to find the reception! 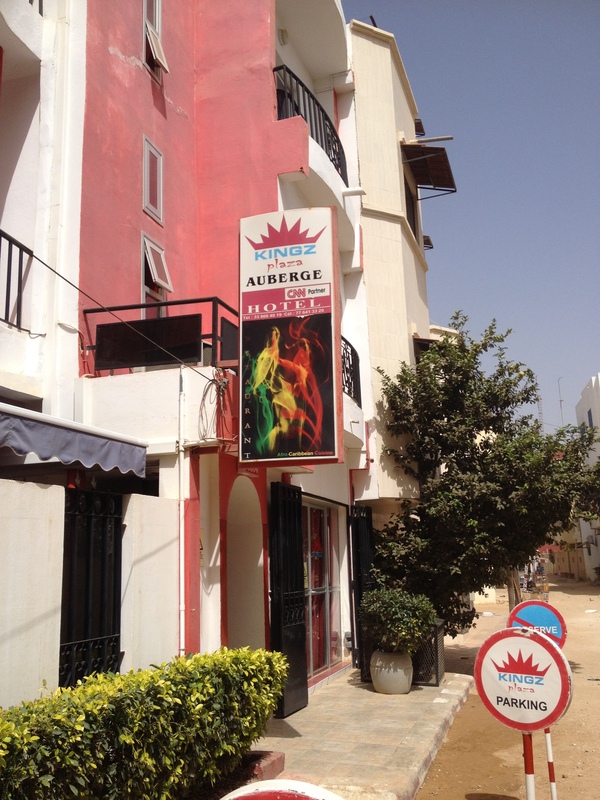 Annexe Kingz Plaza is the only hostel in Dakar. It is very clean and professionally run, though difficult to find (the “plaza” resembles nothing of a plaza, in my opinion). It is located in the area called Sacre-Couer 3, which is near the airport (resulting noise from said airport is my only complaint here). It is located behind the Hotel “Les Residences Mamoune”, and you check in at the main Kingz Plaza hotel. 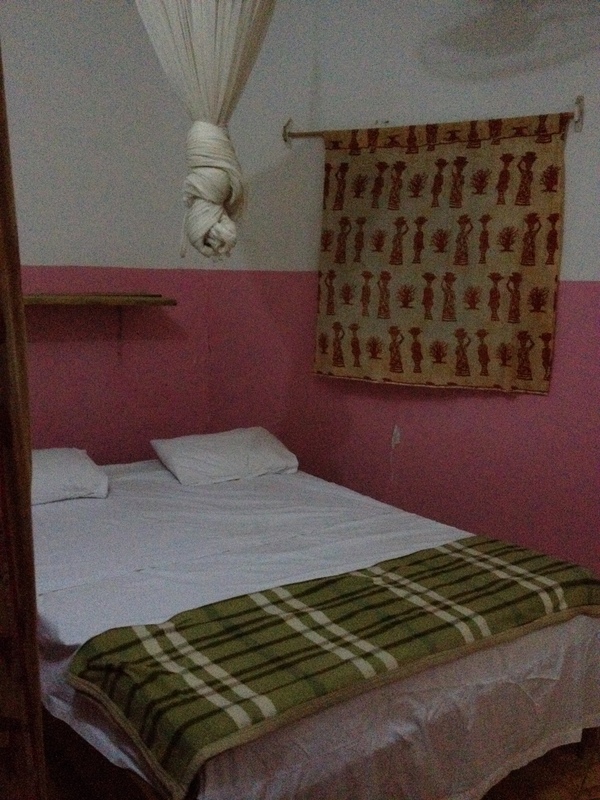 6000CFA/night in 6-bed dorm with shared bathroom and hot water. Also, good and free wifi! For breakfast, you can go out to the main road (not the highway), turn right until you reach the little “supermarket”. Here you’ll find a breakfast joint offering the standard omelette sandwich, but also spaghetti, if you like! (I declined, but this alternative breakfast trend continues as you head farther south). Next to this is also a “fast food” place for at night, but I’m not entirely sure what they make. Located on the next main road behind the hostel is both a bakery and a restaurant. The restaurant offers good local dishes for in the afternoon and evening for around 1500CFA. 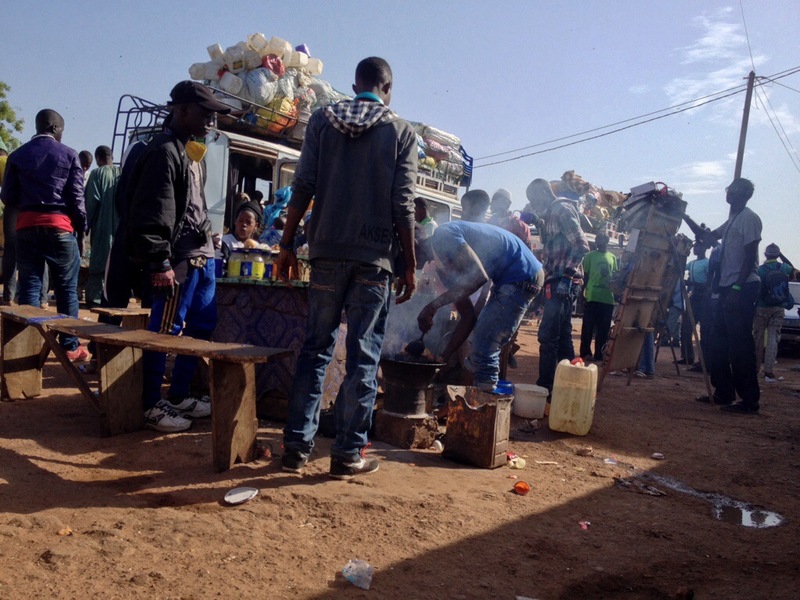 Sandaga market/city centre: there is a bus stop on the highway outside the hostel, slightly to the right. From here, you can catch the white #4 bus to the Petersen gare routiere (bus station), which is in the heart of downtown — 200CFA. Taxi should be about 1500-2000. 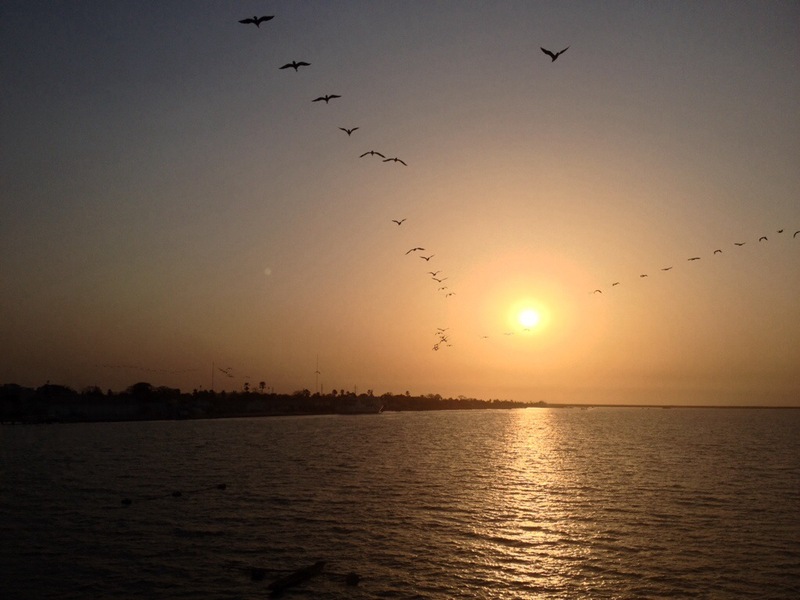 Leaving Dakar: Petersen, Pompeii, and beyond. #4 bus to Petersen GR (200CFA). Find the #55 bus, tell them you are going to Pompeii GR (100CFA), and they will let you off in what seems to be the middle of nowhere on the side of the highway, but will also tell you which direction to find the garage. This is where many cars can be found for a variety of places. Stopped for lunch at the first Joal garage. Delicious theiboudienne across the road for 600CFA. Joal-Fidoult to Ndangane — 1000 + 1000bag (seems like too high a price to me, but the “roads” were rough). tagged along for a transfer to the campement side of the town, free! See here for why I did not like this place! Everything is crazy expensive in this place. The prices of Le Barracuda have nearly doubled since the production of the LP guide, but they are still at the lowest range of prices in the area, plus they gave me a great deal anyways. Standard price is 12,000/15,000 for s/d. I got 15000 for 2 nights (being near-to-tears helps). Room was very clean and comfortable, with private bath and hot water. It’s totally possible to walk to the other side of town (for the working class) to find some good cheap food, but I got so frustrated that I just had a loaf of bread and a fanta. Otherwise your options are overpriced local food or even more overpriced attempts at European food. However, the bar across the street from Le Barracuda had large cold Gazelle beer for 1200CFA. sept place for Tamba was only 6500 plus bag. Would have been well worth it. Read here about how much I LOVED this place! Bloc Gadec is the hostel in Tamba. It’s clean and comfortable, enough. Hard bed and fairly hot, but not so bad if you get the bed by the window (and keep it open)! — 4000CFA/night in 4 bed dorm. Free continental breakfast (bread, jam/butter, and nescafe/tea). Hot water. It’s about 20 minutes walking to the centre of the town (where the highway passes intersects the main road). Near to the garage is a line of hustling omelette stands. These guys are pretty incredible just to watch! Headed in this direction, I came across Le Baobab, a local pub, which looks like nothing on the outside, but opens up to be huge inside, and looks to have a sound system set up for weekend dancing. 700CFA for a large gazelle. On the way back from here, I found rows of tables on the main road, and got some couscous with some sort of sketchy fish sauce for 500. Lady was super cute though! Loved it. I walked everywhere, but there is a stand of charming guys on the corner offering moto-taxis to anywhere in town, for I’m sure 500 or less. visa is free. Border processes are simple and fairly fast. car dropped us a the outskirt of the city. About a 15 minute walk into town and it was hot, hot, hot. Probably should have flagged a car. This was also another place that I didn’t love. Very pretty, but two separate guys were extremely persistent in trying to push their friendship upon me – to the point where I was actually followed through town and then into a restaurant where I was trying to get away from him. Really off-putting. But I had to stay to get my Guinea Bissau visa! Auberge Aw-Bay is somewhat outside the city, but is of better value than some other places I checked out in this price range — 5600/night, dbl bed w/ bathroom, very clean and comfortable. Recommended. Ate mainly around the garage as I was coming in and out. Not too much around the Auberge, but you can find some basic street food in the evenings out on the main road. all taxis should be 500CFA, but they like to get more out of you when you’re a tourist. In my opinion, Senegal was particularly bad for this. It’s not a very far trip! There is a junction before getting into the town; if you get down from the car here, Benjamin at Aubergede la Paix will meet you there and walk you in. CBAO ATM machine now operating in Cap. I took out money with my Visa. 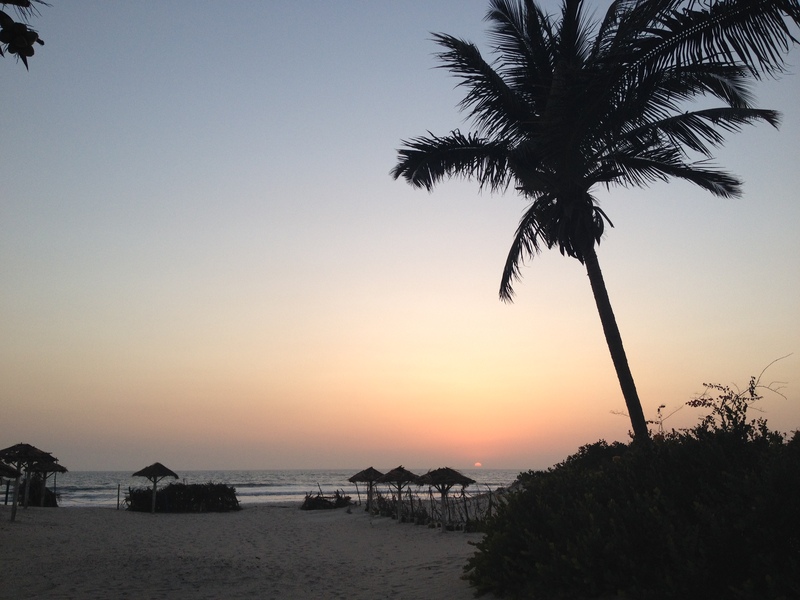 Auberge de la Paix was very quiet when I was there, but was a great few days for me to chill on the beach. 6000/night for a dbl room. There is one restaurant serving local dishes at local prices near the junction; ask around. Otherwise, there are meals served on demand at the Auberge for tourist prices, but if you make friends, the staff may invite you to join them for free. private taxi to/from town was 700. Shared is 150. Get your visa in Ziguinchor. 7 place for Kolda — 4500 + 500 (took another 2 hours to fill and was another 4 hour journey. Would have totally preferred to stay in Zig another night). I have nothing to say about Kolda, as I arrived late and left early, except that if you can avoid it, the Auberge Domaine (the cheapest place, according to the locals I spoke to) was hot, dirty, loud, and extremely overpriced! 8000CFA for a double; shared shower and squat toilet. I recommend stopping in Zig or getting all the way to Tamba, if you can. 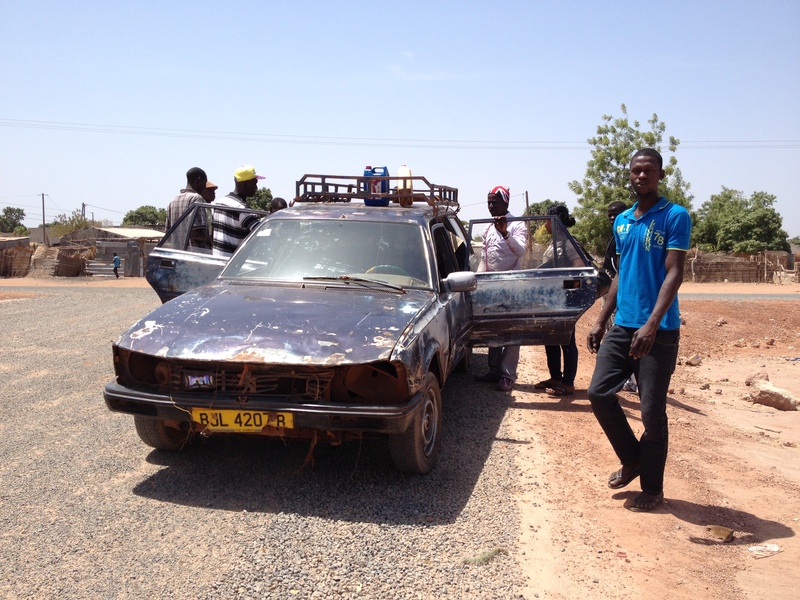 Transportation through border into Mali is found before you pay for the visa. 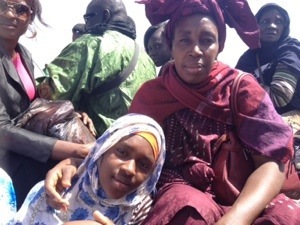 I was given the prices of 5000CFA for a private taxi, 3000 for a 7 place and 2500 for a bus. I did not at first trust this information, or understand the system, so took none of these options (read about my epic fail here) and ended up hitchhiking from the border.